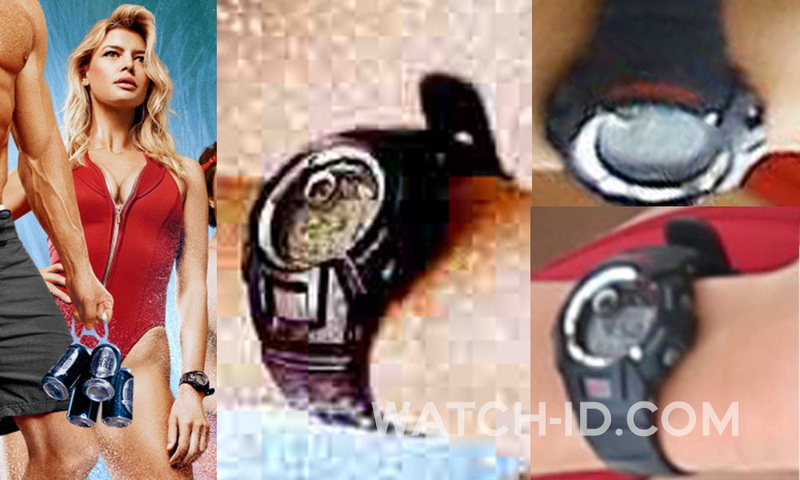 Kelly Rohrbach wears a Casio G-Shock watch in Baywatch. 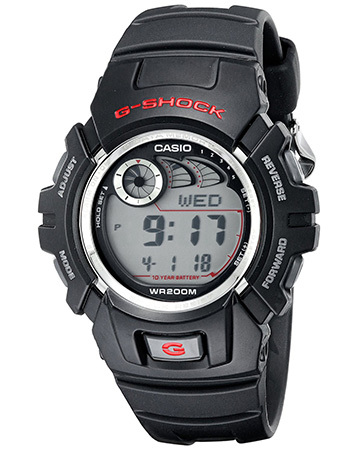 The black watch has red G-Shock and G logos, a chrome color circle around the digital display and is 200m water resistant. The watch is available at Amazon for $48.